Southwestern Colorado | Colorado Regions | Where To Go | Colorado's unofficial tourism site and travel planning website. Your Colorado vacation and business trip resource. Southwestern Colorado is known for its beautiful landscapes, rich cultural heritage, and abundant outdoor activities. It's dominated by two geological features: the mountains along the Western Slope of the Continental Divide and the mesa and canyon zone comprised of the Uncompahgre and Colorado Plateaus. It is also home to the West Elks American Viticultural Area, a significant part of Colorado's wine country, and the Four Corners area, the only place in the U.S. where four state lines touch. Any trip to Southwestern Colorado should include the Black Canyon of the Gunnison National Park, which gets its name from the dark rock of its cliffs. This spectacular twelve mile-long gorge has great hiking, fishing, rock climbing, and horseback riding. You can even kayak the river at the bottom of the gorge, but only if you're an expert. If you want to experience some of the Colorado wine country without going all the way north to Grand Junction, the mesa region has some great vineyards for you to peruse, especially near Montrose. Montrose also offers a great variety of activities for either adventure-seekers or families, including stream and lake fishing, hiking, biking, horseback rides, and other wilderness sports. The Uncompahgre National Forest is also very close. 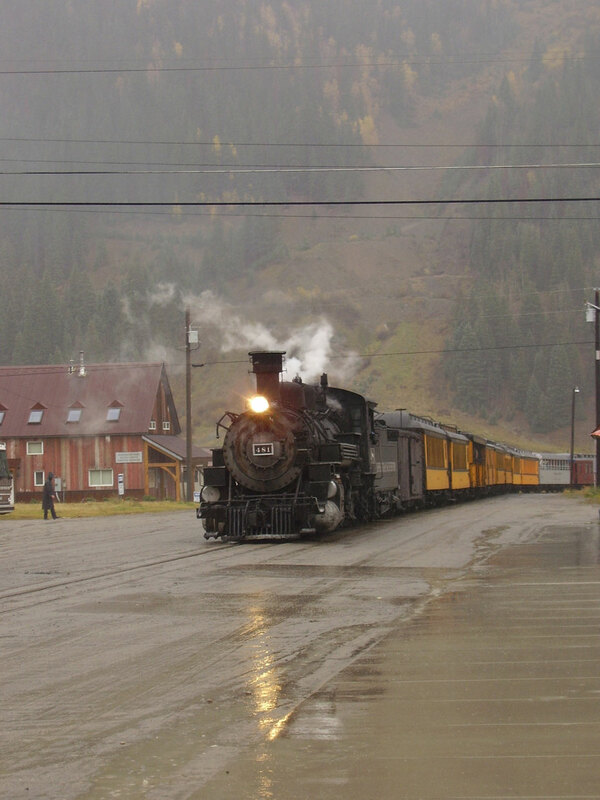 And you'll definitely want to drive down the scenic Million Dollar Highway through the San Juan Mountains to check out the one-time mining towns that are now tourism and skiing hotspots. Silverton and Telluride are both world-class mountains, but Silverton is a quaint small town intended to maximize the focus on skiing, while Telluride is a full-blown resort town with luxury hotels, five-star restaurants, sophisticated shops and some of the finest spas in the world. Silverton is especially great for nature purists because the mountain is left in its natural state with no grooming or artificial snow. There's only one lift, but it provides access to anything your heart desires. Ouray, nicknamed the "Switzerland of America," is another great town along the highway, featuring relaxing hot springs and terrific ice climbing locations. The other major area of interest is the southwestern corner of the region. 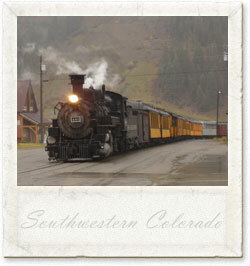 Durango is a fun town, the largest in the region, and the southern terminus of a superb scenic narrow-gauge railway. Cortez, on the other hand, is an amazing archaeological hotspot, perfectly placed as a launching point to the fantastic Native American cliff dwellings in the region. Mesa Verde National Park, a UNESCO Heritage site and home to ancient Ancestral Puebloans, is the most prominent location with a number of well-preserved cliff dwellings and vast desert landscape for visitors to explore. The Canyons of the Ancients National Monument and the Yucca House National Monument, an entire unexcavated city of Ancestral Puebloan houses built between 1150 and 1300 A.D., are also must-see destinations in the vicinity. And for a truly unique experience head to Four Corners, the only point in the country at which four states meet. There, you can sit on the border and twist your body to be in Colorado, New Mexico, Arizona, and Utah simultaneously. Now that's traveling quickly!